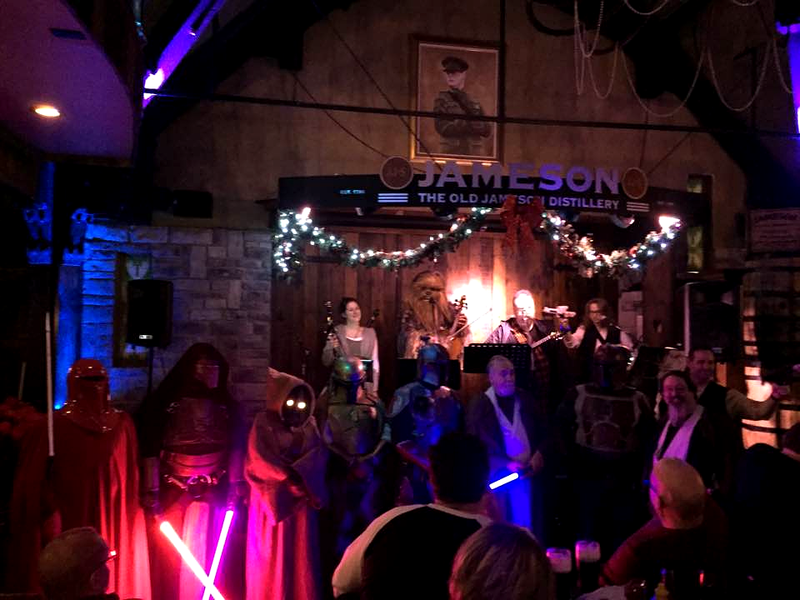 Some photos and a live vid (of our tune “Battle Hymn for the 501st”) from the Rogue One Movie Release Party at the Dublin Pub. 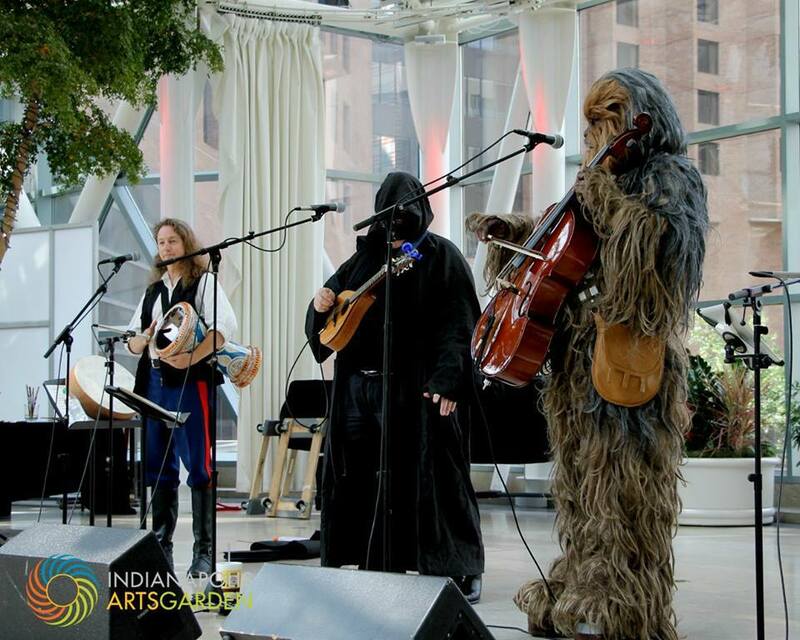 il Troubadore and the Wookiee Cellist will be appearing at the Indianapolis Artsgarden Lunchtime Concert Series during Gen Con 2017 on August 18. 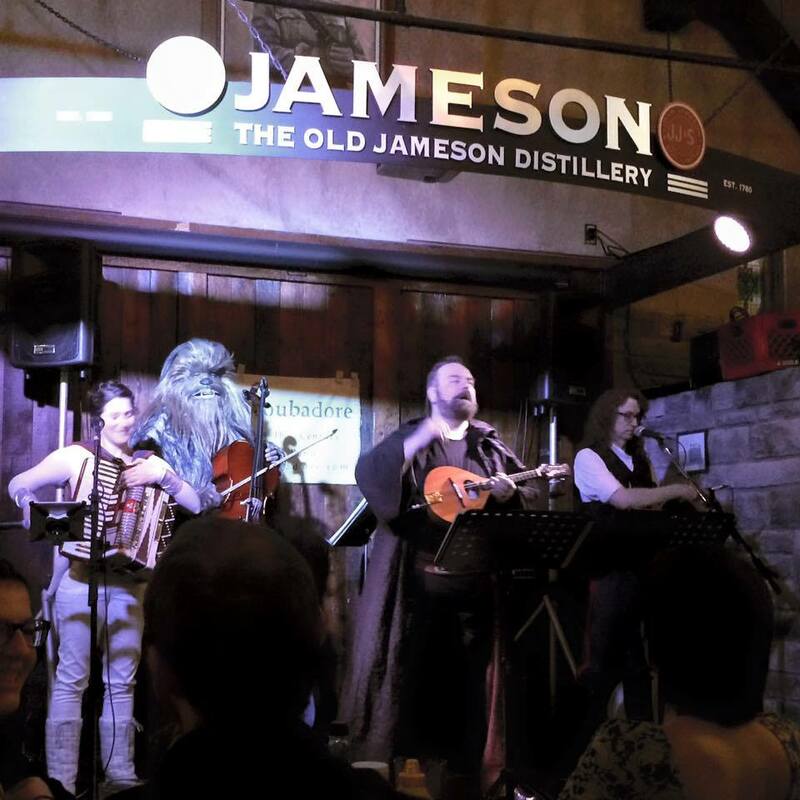 The performance 12:15 and ends at 1:15.
il Troubadore and the Wookiee Cellist will be at the Dublin Pub again on December 9, 2016 for the Rogue One Star Wars Release Party–come see us! 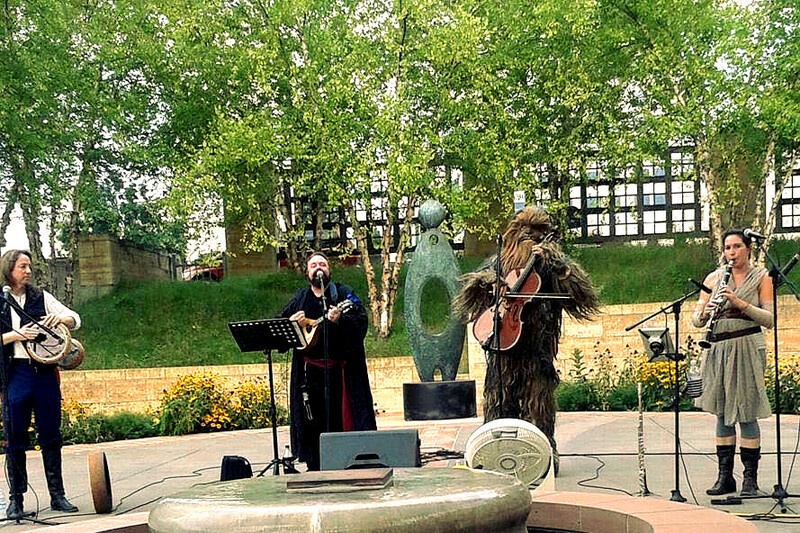 il Troubadore and the Wookiee Cellist will be appearing at the Eiteljorg Museum again before the opening of Gen Con 2017 on August 16. 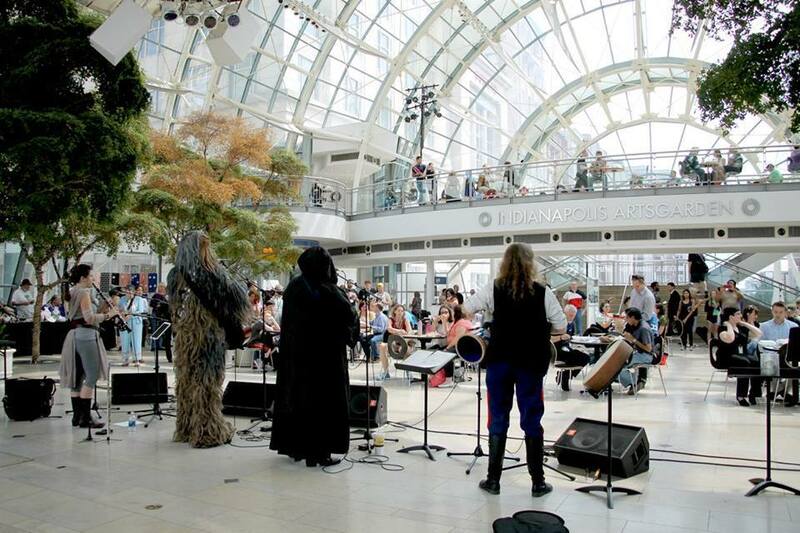 Here are some photos from our performance at the Indianapolis Artsgarden during Gen Con 2016.